Dactylorhiza saccifera is a slender plant with a height of 25 to 90 cm. The 4 to 12 leaves are lanceolate and spotted. The inflorescence consists of 15 to 80 flowers, tightly arranged in a stretched conical inflorescence. The robust spur is bented downwards, formed like a sack and as long as the ovary or longer. Petals and the middle sepals form a small hood. The lateral sepals are spreaded. 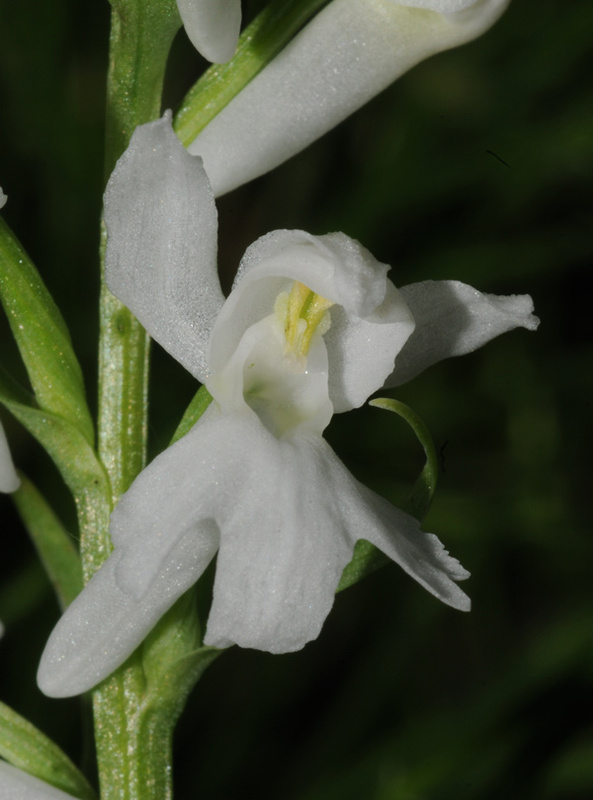 The labellum is markedly three-lobed, with a prominent middle lobe. The loops on the lip form an ornamental design of points and lines. In 1832, the Frenche botanist Adolphe Théodore Brongniart (1801-1876) described this plant as Orchis saccifera (In: Expedition scientifique de Morée). In 1962 the Hungarian botanist Károly Rezsö Soó von Bere defined it as Dactylorhiza saccifera. 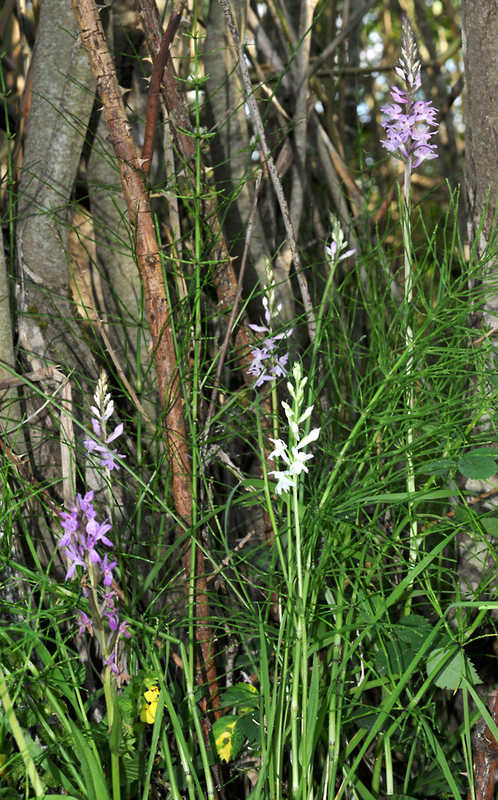 The flowers of Dactylorhiza saccifera are mostly light pink to light-purple. 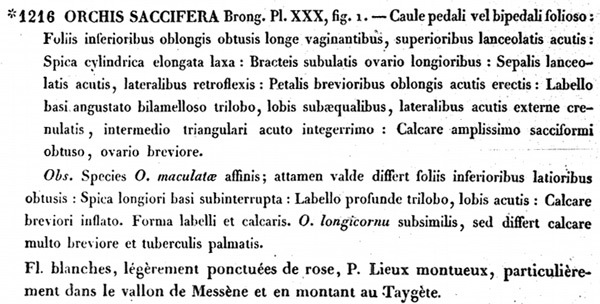 Albiflora forms seem to be rare, though Brongniart described them as having “Fl. blanches, légèrement ponctuées de rose”. 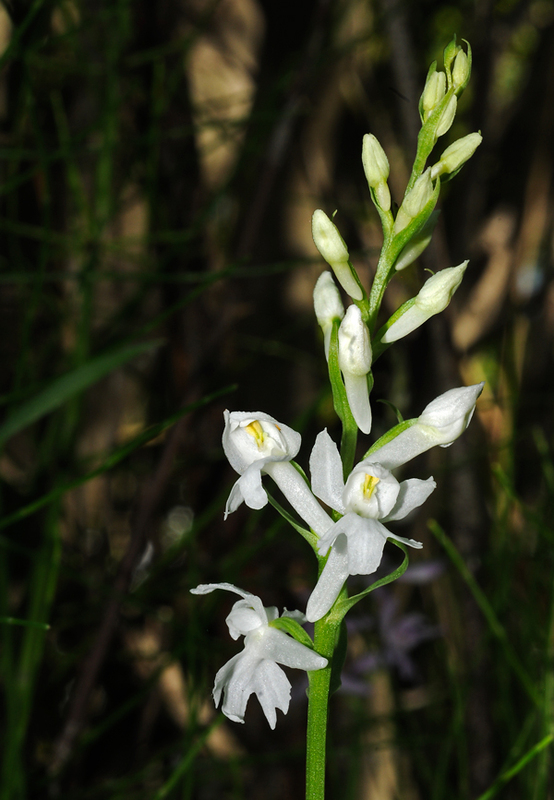 Dactylorhiza saccifera is growing on wet grasslands or in marshes, up to 2200 m. Bloom is from May to July. Its main region of distributtion is Italy and Northern Greece.